My time in Paso Robles was one of the most memorable weekends I’ve had since visiting Half Moon Bay last year. We’ve all heard the term hidden gem, but it wasn’t until I spent a weekend in Paso Robles that I actually experienced one for myself. Located halfway between San Francisco and Los Angeles, Paso Robles is famous for its wineries, olive oil, hot springs, and wholesome family-oriented activities! 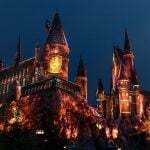 I’m already planning my next trip back. 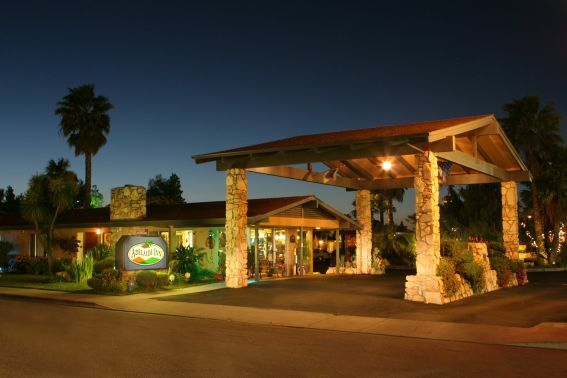 With its charming accommodations, Adelaide Inn is ideal for families looking to experience Paso Robles without breaking the bank; it’s just minutes away from the Paso Robles Children’s Museum, Ravine Waterpark, and Eberle Winery. Children will love the Inn’s complimentary morning pastries and afternoon cookies. A good time to visit this year is between July 17th and July 28th, when Paso Robles hosts the California Mid-State Fair as Adelaide Inn is almost directly across the street from the Paso Robles County Fairgrounds! 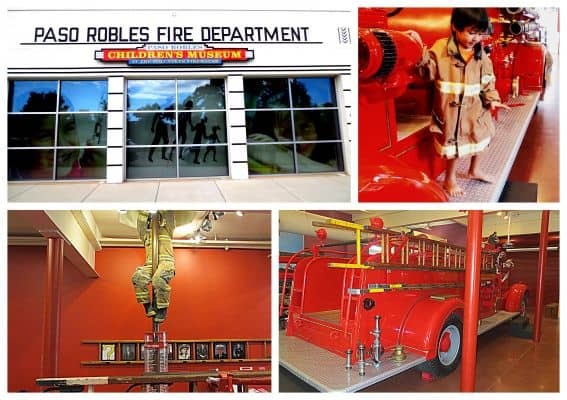 Located inside the city’s former Volunteer Firehouse, the Paso Robles Children’s Museum spotlights the heritage of the Paso Robles Volunteer Firefighters. Tiny tots are transformed into big heroes as they climb behind the wheel of Old Mack, an original fire engine built in 1944. To aid in imaginative play, junior firefighter coats and hats hang from hooks on a nearby wall. The original pole of the old firehouse is still intact and pictures of the city’s former Fire Chiefs adorn the walls and add history to the old firehouse turned kid’s museum. 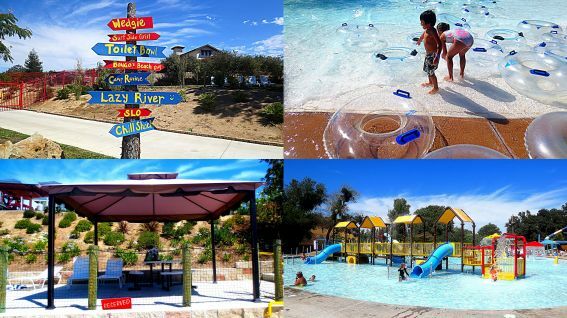 At Ravine Waterpark parents can party like VIP’s with the kids! Reserved cabanas provide shade with comfy lounge chairs, table seating, and a waitress to serve your family food and drinks throughout the day. You can even order ice cold beers! As an added bonus, you’ll also get a VIP parking space near the front. Yahoo!! A Tadpool-front cabana is a great spot for keeping track of your little frogs while they’re swimming. Tadpool is a 9000-square-foot wading pool with a maximum depth of 2 ft., several safe but thrilling kid-friendly slides, fun animal slides, and an intricate watery playground with sprayers. This waterpark is extremely AWESOME! My son loved tubing in the Lazy River and wading in the Calypso Bay Wavepool. Though he stayed in the shallows, I could tell he really wanted to run headfirst into the depths of the wavepool screaming, “Cowabunga!”—or maybe that was me. 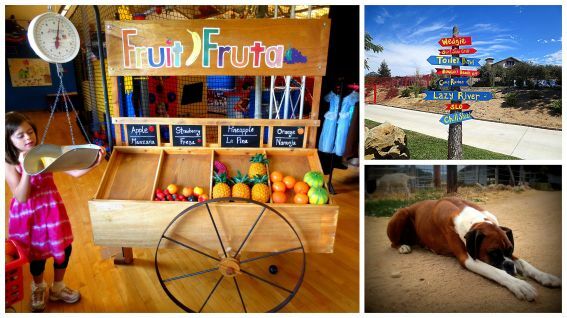 Check out Paso Robles Farms Accessible to Visitors. 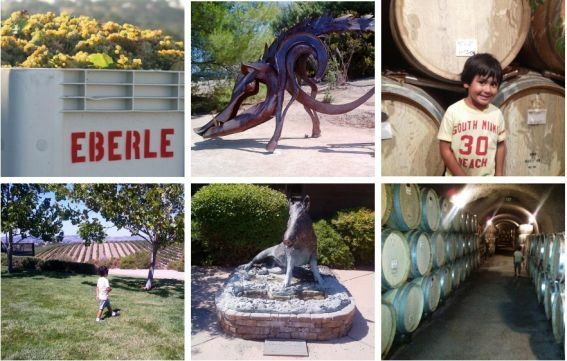 Eberle Winery in Paso Robles is both family-friendly and pet-friendly. Enjoy free tastings and complimentary underground winery caves tours or relish a gourmet picnic lunch from a shaded outdoor deck offering gorgeous views of rolling vineyards. The man behind the magic, Gary Eberle, is recognized as being the first person to plant Syrah in the United States and is one of Paso Robles pioneer wine makers. During your visit you may even get to meet his full-sized black poodles, Cabernet and Roussanne. The Pithy Little Wine Co. Winery Tasting Room in downtown Paso Robles features modern and nostalgic flair with a kid-friendly twist. While parents enjoy wine, olive oil, and balsamic vinegar tastings; children enjoy tastings from Pithy’s old fashioned soda line. 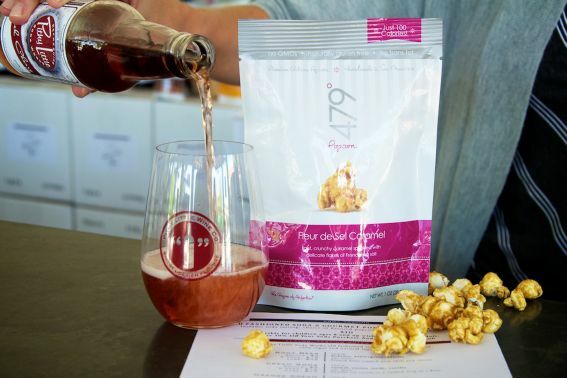 Old fashioned root beer, crème soda, orange cream, black cherry, and cola are served with popcorn pairings. Speaking of pairings, Pithy Little pairs their Viognier—a floral and peachy grape— with a savory Stilton cheese with mango and ginger. Stop the presses! It was a match made in heaven. You bet I bought a bottle! Super delish. 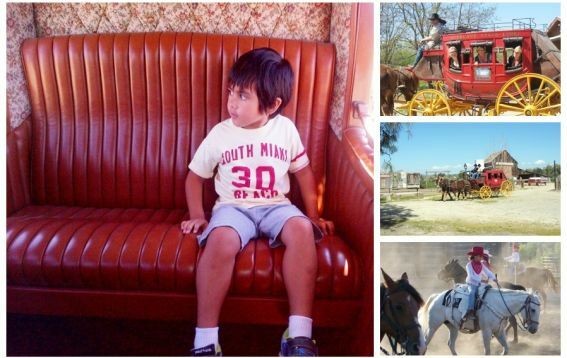 At Harris Stage Lines, families will discover how horses are hitched to a stagecoach before experiencing a journey in an authentic 1860′s full-size Western Concord Stagecoach. The owners, Tommy and Debbie Harris, host authentic Wild West Ranch BBQ’s with a fun array of activities and ranch games. After the dust settles, your little ones will enjoy a cowboy cookout with BBQ Beef Tri-Tip, BBQ Chicken, Ranch Beans, and more. 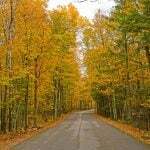 Harris Stage Lines also hosts children’s birthday parties and offers both day and overnight horse camps. It was preferred you rode sober, but if you must drink, it’s only polite to share the bottle lest you appear greedy and unneighborly. If females are present, gentlemen are encouraged to abstain from smoking cigars and pipes as the odor is offensive to ladies. 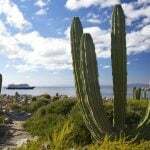 Chewing tobacco was allowed if spit with the wind, not against it. If the horses runaway, don’t panic, you’ll only hurt yourself by leaping out of the coach and you’ll be left to the mercy of unfriendly Indians, the weather, and ravenous coyotes. 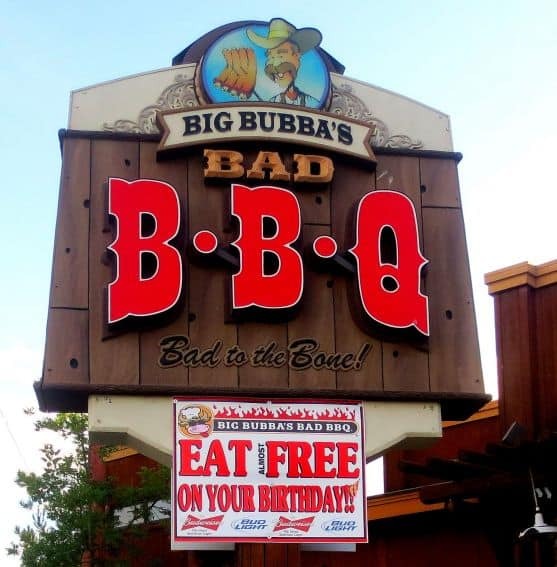 Big Bubba’s BBQ is the perfect spot to rustle up some grub either before or after your visit to Harris Stage Lines. Have you ever imagined what it would feel like to sit in an old west jail cell anxiously awaiting your bandit bank robbing buddies to bust you out? At Big Bubba’s, families can request dining tables set up in mock prison cells—Cell Block 1 or Cell Block 2—and order frozen drinks out of boot-shaped mugs. Big Bubba’s BBQ is like your children: fun and messy! Disclosure: I’d like to thank Travel Paso for hosting my family’s Paso Robles adventures. All opinions are my own. I was not asked to express any particular opinions. Seem like everyone had a great time.. that’s a lot of stuff you did! I like the sound of VIP parking space. 🙂 I’ve always wanted to visit wineries, I think it’s cool being in one. Tina, I loved this article. Thanks for uncovering Paso Robles for us. I had no idea I could eat in a jail cell. There’s always a first time for everything. Next time, we’re driving down 101, I’m definitely stopping there for sure. Next time stop in for visit at Zoo To You! The kids will loved it! Hands on animals…. Like a zoo but more! Also Powells sweet shop it will make you feel like a kid again! The warbird musuem has lots of kid friendly things too, like a flight simulator, really cool planes, even an apollo spacecraft & a tank, all touchable foir kids! Thanks for making a stop in our warm & friendly little town! Hope to have you again soon. Thanks for the scoop Vicki, I’ll be sure to hit up the great places you mentioned next time I visit! 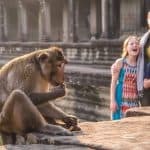 This is great article! Really makes me appreciate living in Paso Robles with kids. 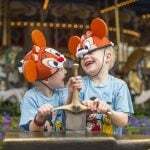 So many fun things to do with the little ones in this town. I have to agree with Vicki and also visiting Powells Sweet Shop in the middle of down town and the city park. Happy Acres Farm is closed as of 2017.